Psalm 37: 8-11 Refrain from anger and turn from wrath; do not fret–it leads only to evil. For evil men will be cut off, but those who hope in the LORD will inherit the land. Three times in this psalm we have been instructed – do not fret. We are told not to fret because of evil men, when others succeed and we don’t seem to be succeeding, and that fretting will lead to evil. In today’s verses we are first told to keep ourselves from being angry and turn away from anger. Then we are told not to fret as it will lead us to sin. The dictionary says fret means: to eat away, gnaw, disturb, irritate, vex, worry or annoy. I was thinking of fret as just worry but it actually means something that would get under your skin and eat away at you. Isn’t that what happens when you dwell on problems that are seemingly unresolved and emotions that are flared. Keeping fretful things in our minds eats away at us and causes us to lose our godly focus. God wants to be preeminent in our lives and hold every thought captive in Christ. Letting ourselves become fretful will lead us away from God and into sin. Make the commitment today to reign in worry and anxiety. Don’t waste even a minute on this today. Remember 1 Peter 5:7 Cast all your anxiety on him because he cares for you! 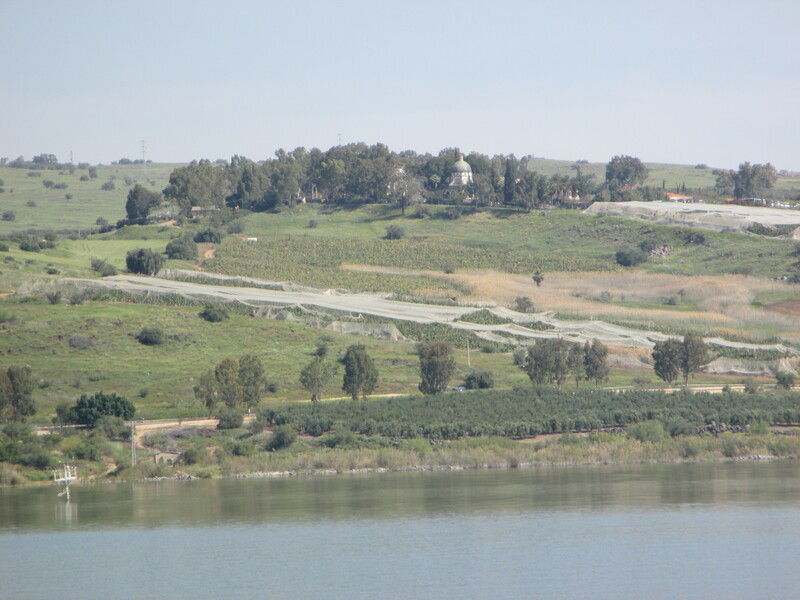 Mount of Beatitudes as seen from the Sea of Galilee. This is the site of Jesus’ Sermon on the Mount given in the gospels.